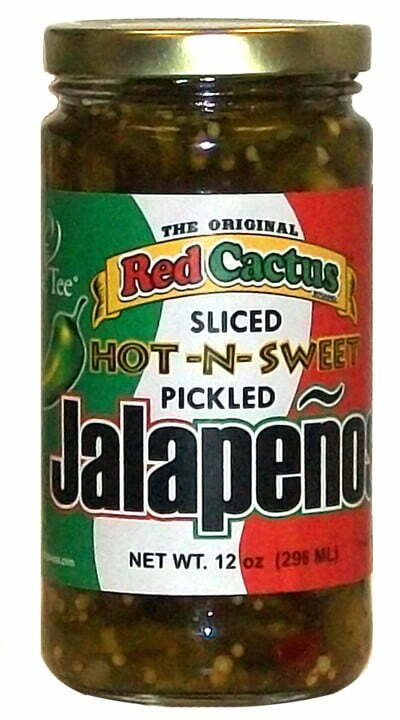 A delicious blend of garden vegetables, jalapeños, spices with the rich down home sweet taste of "sorghum syrup". 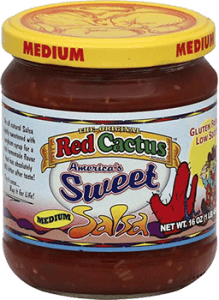 A delicious blend of garden vegetables, jalapeños, spices with the rich down home sweet taste of "sorghum syrup", slightly spicy. 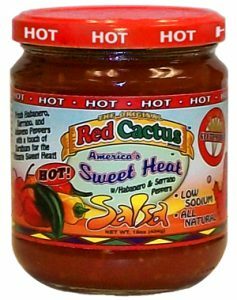 Habanero, Serrano, and Jalapeno Peppers with a touch of Sorghum for the Ultimate Sweet Heat! 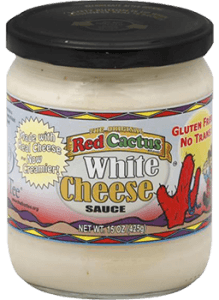 A delicious and smooth blend of white cheese, with just a hint of jalapeno. 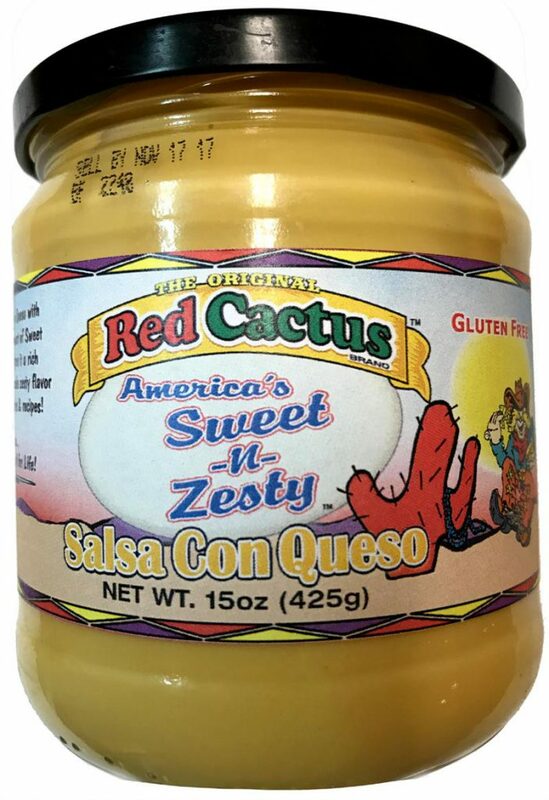 A salsa con queso with just the right amount of sweet & heat, great for dips and recipes. 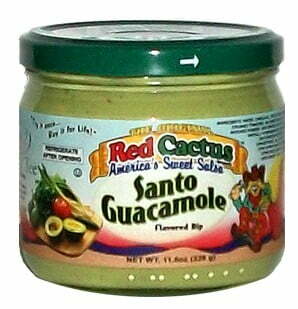 A smooth & creamy Guacamole Flavored Dip that is one of few Gluten Free and Kosher Guacamole dips on the market. 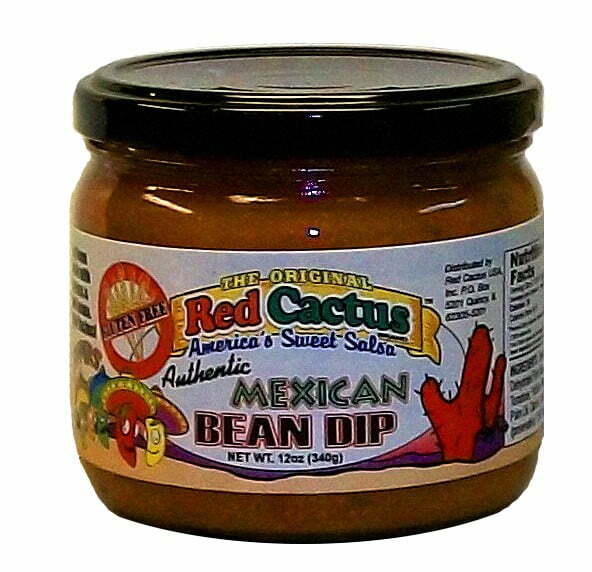 A zesty bean dip made with 5 peppers and refried beans. Great for Nachos! 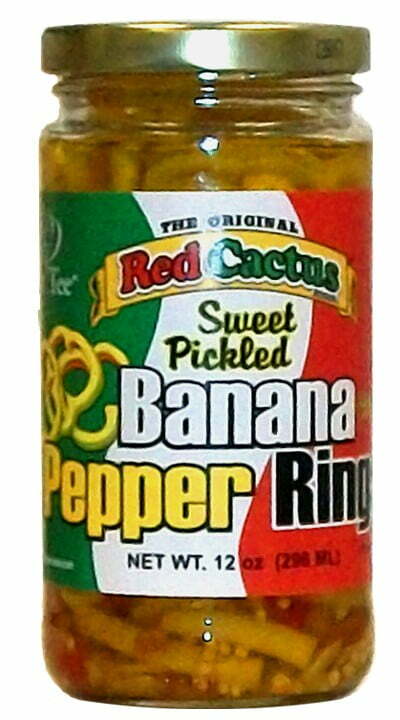 Sliced and pickled banana pepper rings with the classic Red Cactus flavor in a resealable glass jar. 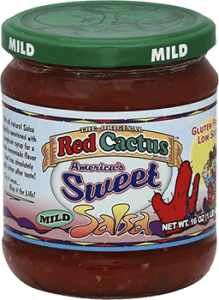 Sliced and pickled Jalapeno peppers with the classic Red Cactus flavor in a resealable glass jar. See what others are saying about our line of products! View our Testimonials Page here.